Do you believe that flat roofs are expensive? Or, perhaps you think that they’re difficult to maintain, leaky and a nightmare during heavy snowfall? Then, you are missing out on one of the best architectural designs of all time. Here are some common myths about flat roofs. We debunk them to shed light on why going for a flat roof may be one of the best home decisions you’ll ever make. Any type of roof can leak, but a flat roof has built-in features that enable it to drain water like any other type. Contrary to common belief, flat roofs are not flat. They actually have an imperceptible slope. Your architect will put in enough slope and drainage to allow rain to flow off and not leak inside the home. If you’re buying a house with a flat roof, look at the plans with a builder, a roofing contractor or an architect. It should allay any worries you might have about leaks. The actual cost of your flat roof will depend on a variety of factors. The most prominent is your roof surface area and the material you’re planning to use. Still, if you build a steep roof with the same materials, the flat roof will come out cheaper. It’s because it uses fewer materials than other roofs. This is a common (and valid) concern. Most contractors design a flat roof for equal distribution of excess weight. Both residential and commercial roofing must withstand a variety of factors. Your home’s structure bears a lot of weight from occupants and furniture, including stresses from strong winds and seismic movement. There is no real reason to worry that flat roofs cannot withstand winters like any steep roofs. So, go ahead and enjoy a flat-roofed home wherever you may be! We’ve already addressed this in the first myth, but let’s expound on it more. Flat roofs are only “almost” flat. In a residential setting, they come with a built-in pitch that allows them to shed water well. To drain water, your architect will plan out the drains needed for a residential roofing. This will depend on your roof square footage. Are you still not convinced about the merits of flat or low slope roofs? 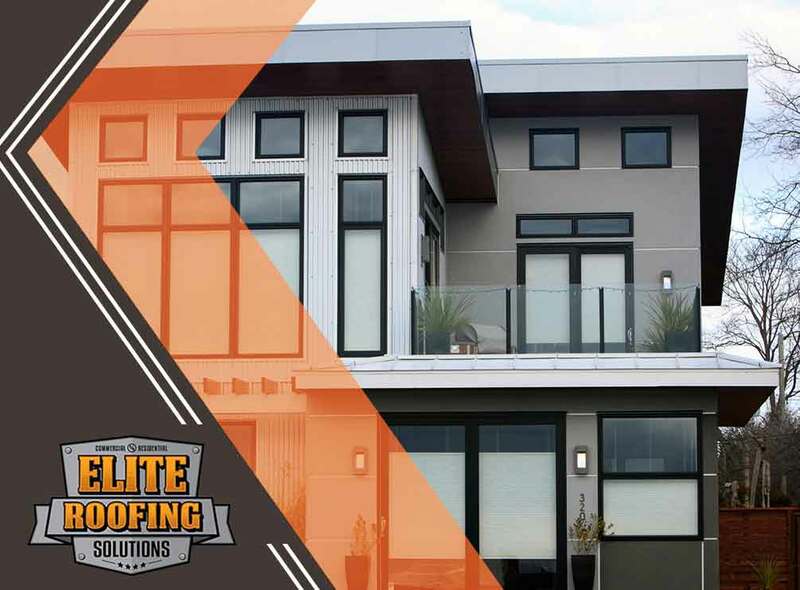 Call the top roofers in Houston, TX: Elite Roofing Solutions. We have the experience needed to address low slope or flat roofing problems. Call us for a free commercial or residential roofing inspection at (855) 588-6610.